Home DNA Discoveries DNA Matches – who are we searching for? We are very interested in connecting with atDNA matches and with anyone sharing our mtDNA or Y-DNA haplogroups. 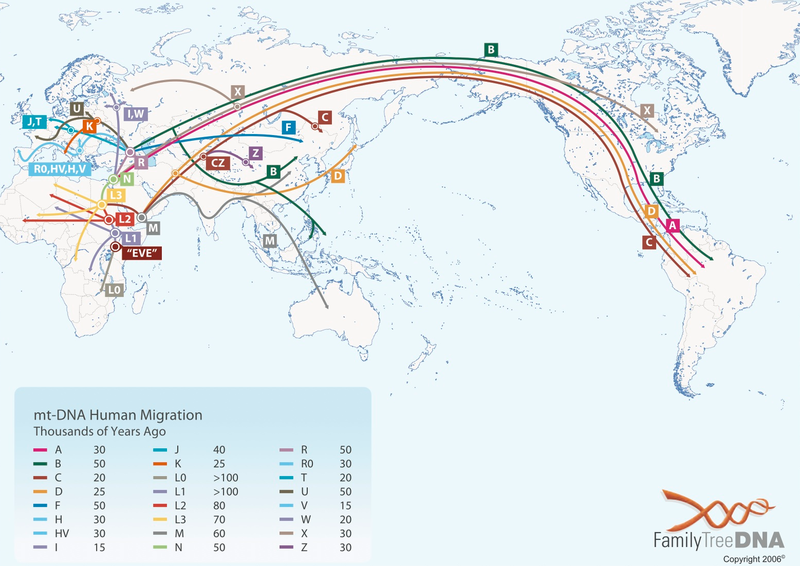 However, for mtDNA or Y-DNA, which test deeper ancestry, we are equally – if not more – interested in connecting with those of any of our lines who have tested, not just those on our matrilineal or patrilineal lines. Remember, at 10 generations distance – unless there has been some intermarriage – you could have about 1000 different ancestors, 500 of them male or female. Y-DNA or mtDNA only gives you deep information on one of these ancestors. Fortunately, there are close and distant cousins who can test for the other lines. Please contact us if you are descended from any of these surnames and in particular, the people below and have tested or are interested in testing so we can compare notes. We have family trees on most of the major testing sites where we have tested and also on Gedmatch. At this point, we are starting to find cousins in a concentrated number of branches: Thomas, Dufford, Frampton, Williams, Gruver, Mill, Lobaugh, Culbertson, Mitchel, Steele, Story, Burford and Crawford. Of these, the last 11 are in 12 Ancestry DNA circles (2x Williams). These circles relate to people born between 1750 and 1815, and so present a good chance of confirming and perhaps extending trees. Williams, Lobaugh and Mitchel relate to our Framptons, Gruver and Mill are ancestors of our Duffords, and Crawford and Burford are ancestors of our Steeles. Culbertson is a Morrison ancestor, from whom several of us claim double descent. Recent surnames that have been remarkably quiet as far as matches so far are McCullough, Ivory, Lyon, McKee, Ross, Morrison, Montgomery, Foster, Hall, Hindman, Hays, Schroeder, Outlaw and Lehnert/Leonard. 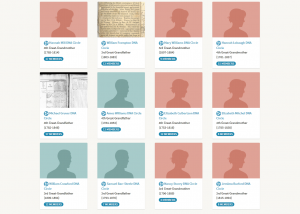 To help identify descendant cousins with totally different current surnames due to descent through women at some point, we have tried to trace as many of our lines as possible through to at least the early 1900’s. Searching surnames on our tree-site will help identify possible connections. Please contact us if you match to any of these people and would like to compare trees or DNA. Y-DNA is passed on from father to son, virtually unchanged, generation after generation, and following the same line as surnames in most cultures. It is particularly useful for tracing origins of those who may have migrated to other countries in the past few hundred years. However, since we can test only one or two lines for our own family, this is a place that collaboration with other cousins can be a big help – for us and for you, if you share our patrilineal lines. We have tested only one Y-DNA (111 markers) surname to date: McCullough. Our earliest known ancestor in that line is William McCullough, born most likely in York, PA in the early 1760’s. We are also 95% certain that his father was James, and that William had at least two brothers, John and Jacob. As far as we know so far, this first William had no sons other than Sheridan McCullough who had male descendants who reached adulthood. 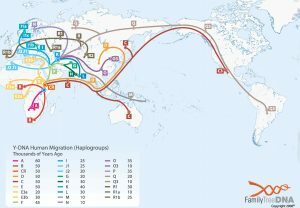 Our McCulloughs are classified as R1b1a1a2 and/or R1b – lineage V. R-M269 or R1b1a2 is the most common subclade of R-M343 (R1b), which is itself the most common Y-DNA haplogroup in Western Europe. The surprise from the Y-DNA test was that our branch of the McCulloughs is in a small subgroup who are more frequently tied to people named McCracken than McCullough! This probably occurred in the early days of surnames and well before the family immigrated to America. However, at this point, there are only three McCulloughs in this haplo-subclade. 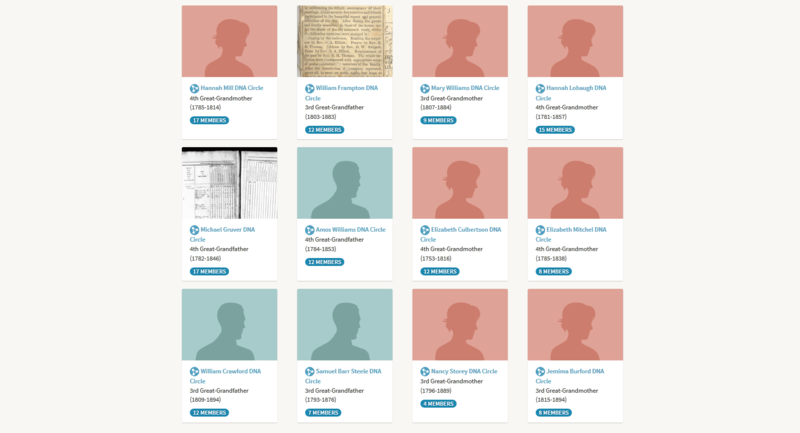 Our connections probably lie before James McCullough, our most distant known McCullough direct paternal ancestor in America, although one is a very close match and could be more recent. So far we have found no other McCulloughs descending from James and/or William who have done a Y-test. For this reason, it would be very useful if any other males of our line who still carry the McCullough surname would do this test!!! These males should be patrilineal McCullough-surname descendants of Sheridan McCullough (b. 1801) or William McCullough (b. 1828) and his brothers James, David and John. Going further back, it would also be very useful if any descendants of James McCullough’s other sons John and Jacob would test, since their results would help confirm or disprove our theory about James. Van Rooijen, descended from any of the Van Rooijens originally from the Jutphas area of the Netherlands. mtDNA (or mitochondrial DNA) tests trace descent along matrilineal lines. Both males and females can take this test, but only females will pass the DNA to the next generation. Two of our family from different matrilineal ancestors have been tested so far. One of our haplogroups is I2d. Our earliest known ancestor of this line was Catherine Lehnert or Leonard (1840 – 1916). The I haplogroup as a whole is found in an average of just 2% of Europeans and under 1% of Near Easterners. Subclade I2d is found primarily in northern Europe: the Baltics, Scandinavia and Great Britain/Ireland, and to some extent in the Caucasus and among the Pasiegos of Cantabria in northern Spain. 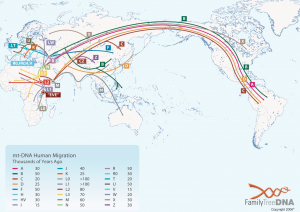 The migration route was probably from Anatolia through the Caucasus. The estimated age of I is about 30,000 years, and I2d about 8000 years. Our other haplogroup is T1a1i, a slightly “younger” haplogroup, estimated at about 6000 years. Our matrilineal ancestors in this line are Jennie Hays (1867 – 1947), Keziah Jane Foster (1841 – 1919), Isabella Morrison (1813 – 1854), Margaret Barnes (1779 – 1848), and Jane Hazlett (1757 – 1844). The T group itself is about 29,000 years old, with the split between T1 and T2 probably occurring some 21,000 years ago. It is thought that this group played an important role in spreading agriculture across Europe. Today, concentrations are found in Southeast, Central and to some extent, Northwest Europe, including Scotland, Wales and Western England. It is likely that our recent ancestors of this group were from Western or Southwest Scotland. any matrilineal descendants from a woman of any of the Y-DNA surnames above whose matrilineal ancestor of that name was born before 1850, and preferably earlier. Remember, unlike Y-DNA, both males and females can take mtDNA tests. A good place to look for Y-DNA and mtDNA tests is FTDNA (we have no connection with this company – it is just one of the very few offering these tests in addition to autosomal tests). They also offer atDNA tests, often with a discount if purchased with an mtDNA or Y-DNA test. Particularly around various holidays, the also offer discounts on all tests, as do the other testing companies for their atDNA tests, so even though these tests are a bit costly, you can often get a good price!